Take a look at this 2018 Vantage S76SS. It is Stock# 41921 at TruckerToTrucker.com. 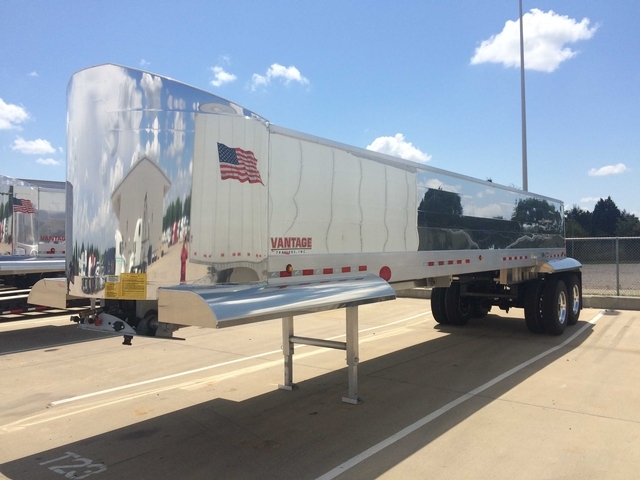 NEW 2018 Vantage Aluminum End Dump, 188MM floor,Smooth sided, , wall 50" siege height, 38 yard capacity, Rounded front nose, Front and rear fenders, Water tight tailgate, 14" crossmember spacing, Air operated tailgate, 4S-2M Anti-Skid ABS brakes, 1/4"-3/8" to first rib UHMW floor liner, 11R24.5 tires mounted on, Aluminum Wheels. Please call for more info.